1. I’m so thankful and feel so blessed that we have a roof over our heads and HEAT this cold winter! I know that not everyone is so fortunate. Many prayers to those out there who are trying to stay warm. 2. I made some yummy Egg White Muffins this week. They were perfect for Steve and I to have as protein snacks each day. I actually looked forward to my snack time! Check them out if you are looking for clean eating snack ideas. 3. 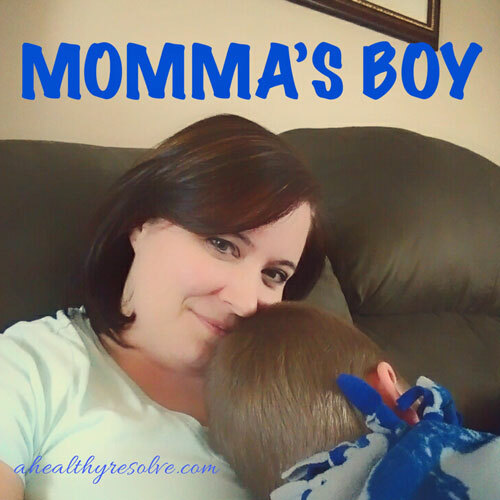 My littlest man was full of snuggles this week which I LOVE! He is on the border of no longer needing a nap. So if I lay him in his bed, he sleeps for a couple of hours but then bedtime is a chore because he isn’t tired. So we have just been having snuggle and rest time and I have to say...I don’t hate it. :P Sometimes he falls asleep...sometimes he doesn’t. It is quality time that I am cherishing so much as my boys are growing up too fast! If you read my blog yesterday, you saw that I have a new recipe for making my own turkey sausage. It turned out pretty awesome if I do say so myself. :P So what did I decide to do with the sausage? I made some egg white muffins of course! They are the perfect protein-filled snack for my husband and I to eat all week. I used frozen veggies to see how it would work. They still cook well, but the added water does make the egg whites a little bit of a different texture. If that doesn't bother you then it is a super easy way to get more veggies in your diet. If it does, just use whatever fresh vegetables you have on hand. I'm all about making things quick and easy so I bought the container of egg whites for this recipe, but you could definitely separate them yourself from whole eggs. I would love to hear how they turn out for you! Toppings of choice: Ex. Peppers, broccoli, tomatoes, etc. Using a muffin tin, measure 1/4 cup ground sausage into 10 of the holes in the muffin pan. Add the vegetables/toppings that you would like to include. Pour egg whites into each muffin almost to the top. Bake in the oven for 20-30 minutes or until the egg whites are cooked through. **You can enjoy these right away or store in the refrigerator for a week's worth of snacks. I am not a huge egg fan to be honest. But I will eat them with other 'goodies' mixed in. I used to buy those Jimmy Dean precooked sausage crumbles, but they are SO not good for you. It is full of artificial preservatives. 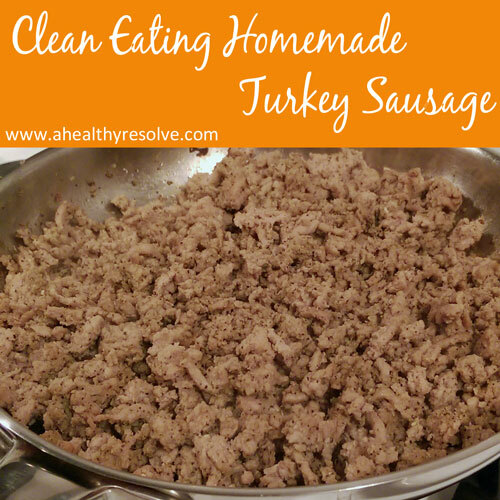 So I decided to try making some clean eating turkey sausage of my own. I am pleasantly surprised at how well this came out! I cooked it crumbled but you could easily make them as patties as well. Stay tuned for my egg muffin recipe that goes great with this sausage! Week 8?? REALLY??? How is it possible that we are almost done with our first round of Insanity Max:30? The past eight weeks have gone by so quickly. It has been really fun to take this journey with my husband. Prior to this program, he always got up early and worked out first and then I would go downstairs and do my thing. This new set up is allowing us to spend more quality time together, support each other, and we have really enjoyed it. In fact, he was already asking me what we were going to do next. 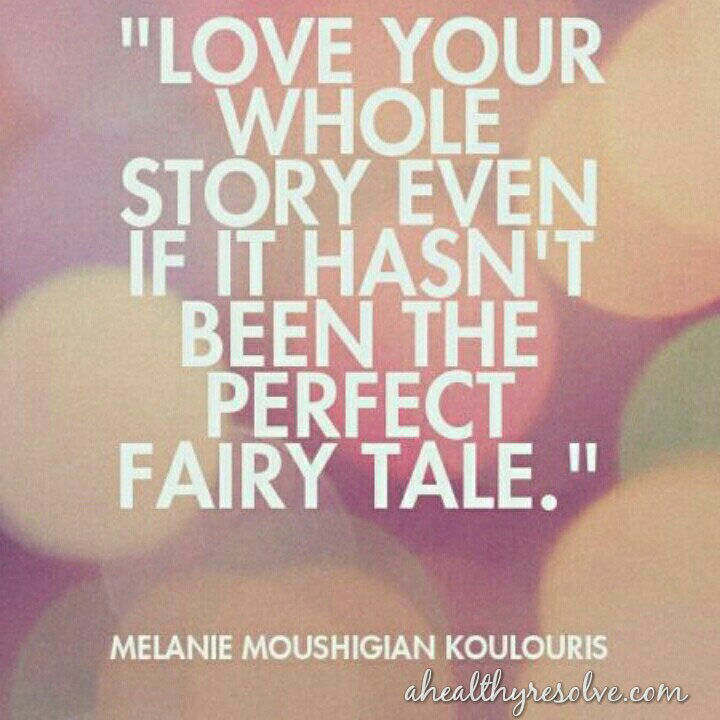 :) Of course that will be 21 Day Fix Extreme...but that will come in a later post. Our workouts have been going pretty well. Month 2 has been pretty tough. I’m struggling to make the same time gains that I did in month 1 but I do still see improvement with each week. Max:30 has really pushed me to my limit. It has shown me that I can do so much more than I realized! 1. This has to be first and foremost because I'm so stinking proud of them. 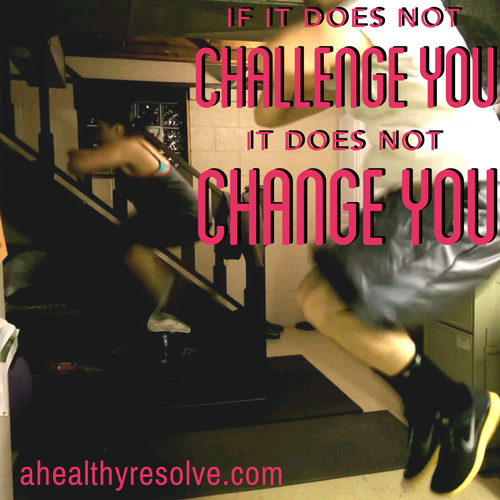 The challengers in my Start the New Year with Resolve accountability group are rockin' it!! They are staying on track, supporting each other, and checking in. I'm telling you. 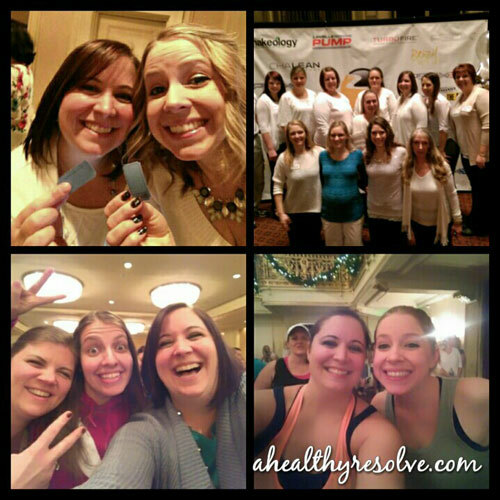 These groups are totally the secret sauce to results! 2. The past few months (at least) have been kind of rough for me. Sometimes even though I may look like it is easy to get up every day and workout and focus on nutrition, that isn't always the case. I haven't been feeling well for a while now but I may have started to figure out what is going on and for that I am celebrating. I'm not quite ready yet to talk about it here. But when I get some things figured out, I will enlighten you. It has been snowing here all day and it just felt like crock pot dinner weather! Since I didn't have any ground turkey for traditional chili, I decided to try to make a chicken version. This is partially taken from a soup recipe that my mother-in-law gave me. My little man even helped me pull it all together. :) He loves helping me in the kitchen. I will make at least one of these Jordan boys a cook! LOL! My poor husband can barely boil water. (I'm not picking on him! He admits it!) Haha!! Anyway, I just kind of tossed it all together in it turned out good! 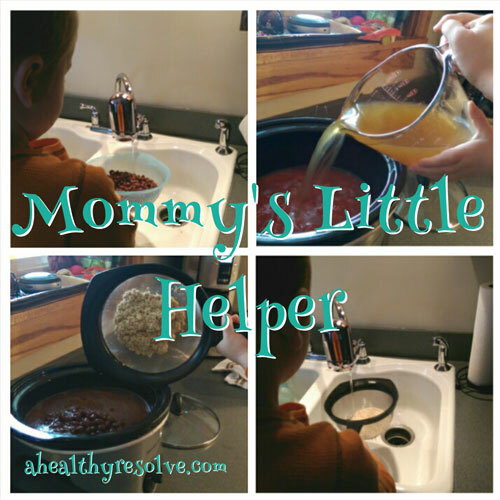 The kids and hubby loved it and I hope you do also! Place chicken in bottom of the crock pot. Cook on high for 6 hours or until chicken is fully cooked. 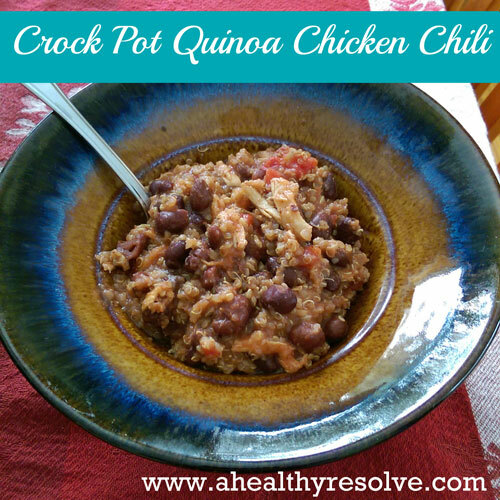 You could top it with cheese, sour cream (greek yogurt is a good substitute) or whatever you typically like on chili, but we think it is great on its own! 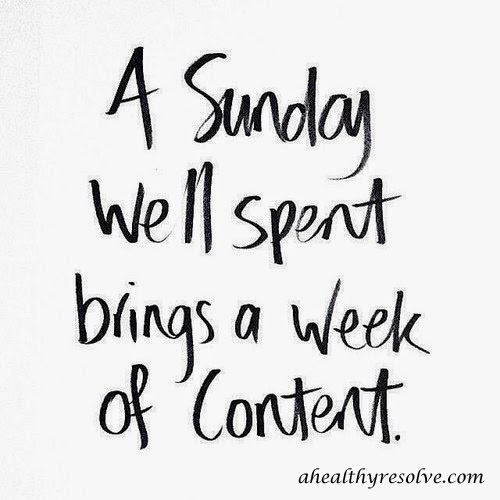 Ah Sundays… For me it is a day of rest, planning and family time! I like to get up early, have my weekend coffee, and plan out the week ahead. 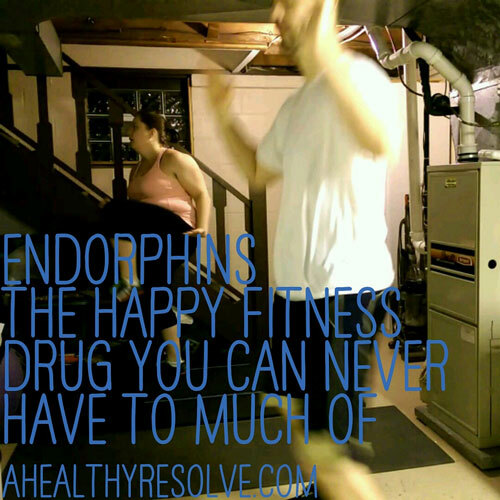 It helps keep me on track with my workouts and nutrition but also helps to keep me from feeling overwhelmed when it comes to my business and just life in general! Last night we had friends over and I’m not going to lie, while I didn’t overeat there were a couple glasses of wine involved. So today I’m feeling kind of crappy just from the overdose of sugar that I’m not used to anymore. It really is amazing that once you start cleaning up your diet, the things that you once enjoyed and didn’t bother you now make you feel like dirt! My body always lets me know when I have eaten something that isn’t clean! LOL! I’m looking forward to getting back on track today and kicking off week 7 of Insanity Max:30! Month 2 has proven to be quite challenging. I’m feeling a little frustrated because I want to be able to last longer until I max out but these workouts are NO JOKE! :P Along with that my body continues to fight me in its transformation. If you have been following me for long, you may be looking at how long I have been doing this and wondering why my transformation seems to be so slow. It certainly isn't because the programs don't work. I would bet my life on the fact that they do! I have SEEN it happen for many of my challengers. But everyone's body is different. The most important thing is that I am just trying to focus on the being healthy part and I KNOW that eventually the rest will come. When I started this health and fitness journey, I’m going to be honest a lot of the reason at the time was because I wanted to lose weight and get healthy. But what you don’t realize when you are going through it, is that the most important transformation happens on the inside. In December 2012, I was just starting out. The holidays were coming to a close. I was looking through pictures from Christmas and didn’t even recognize myself. I knew I was depressed. I had back surgery (spinal fusion) 4 months prior and it had been an uphill battle during the recovery. There were days when walking was a struggle. 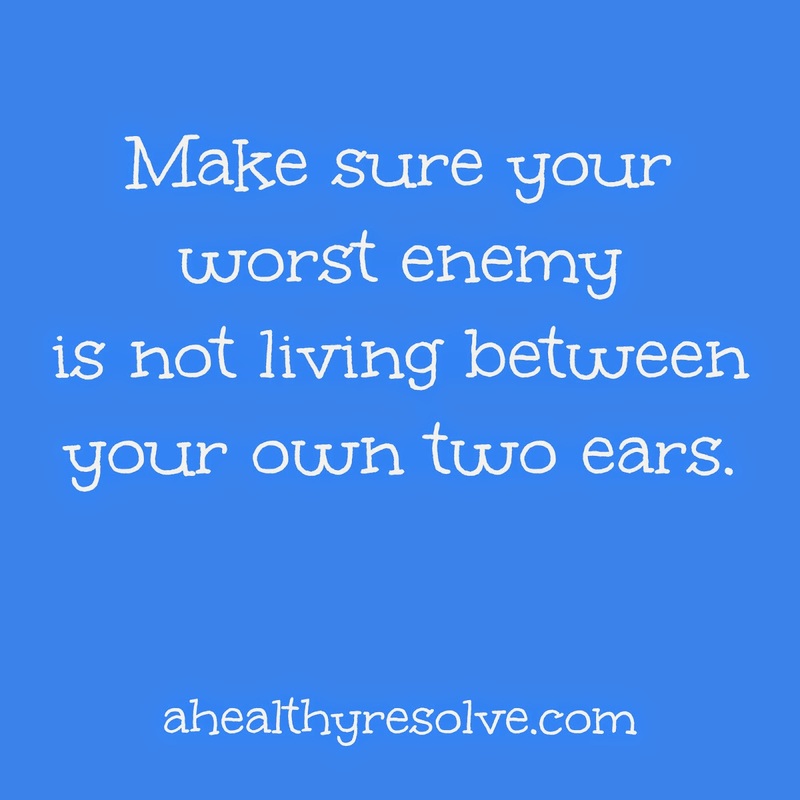 When you can’t play with your kids or struggle to do daily tasks, it gets into your head. It was at that point that I decided enough was enough. I was sick and tired of being sick and tired...and depressed. I was determined to pull myself out of the hole that I was in. So I started walking. 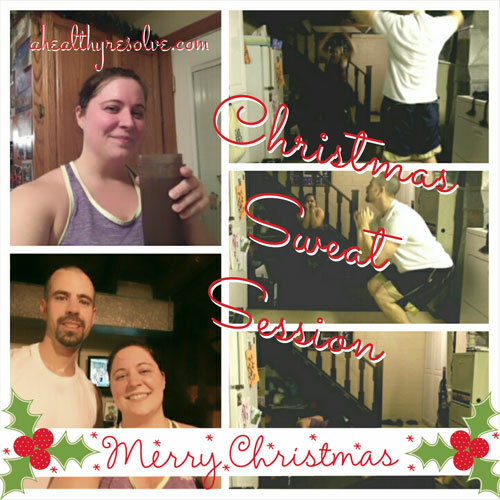 Then I found my coach and I started doing accountability groups, following a program and drinking Shakeology. For me, that is when a light bulb went off. I had bought workout DVDs in the past. And they just sat on my shelf after a couple of weeks. I never had followed the nutrition plans. I never stuck with it. With these groups and these motivating and inspiring people, I finally found myself sticking with it! I felt like I had this whole community of people that KNEW exactly how I was feeling and I could relate with. I was cleaning up my nutrition better than ever before. I drank my Shakeology every day. I worked out every day. And I felt better than I had in as long as I could remember. I could feel myself pulling out of my depression and feeling hope again. I hadn’t felt hope in a really long time. Things have been crazy around here this weekend. We had Pittsburgh Super Friday on Friday night. It was so fun to get together with my Beachbody family, hear the inspiring stories, and I am SUPER excited that I got to get a picture with Autumn Calabrese the creator of 21 Day Fix! I haven’t gotten my picture back yet but I’ll be sure to share. 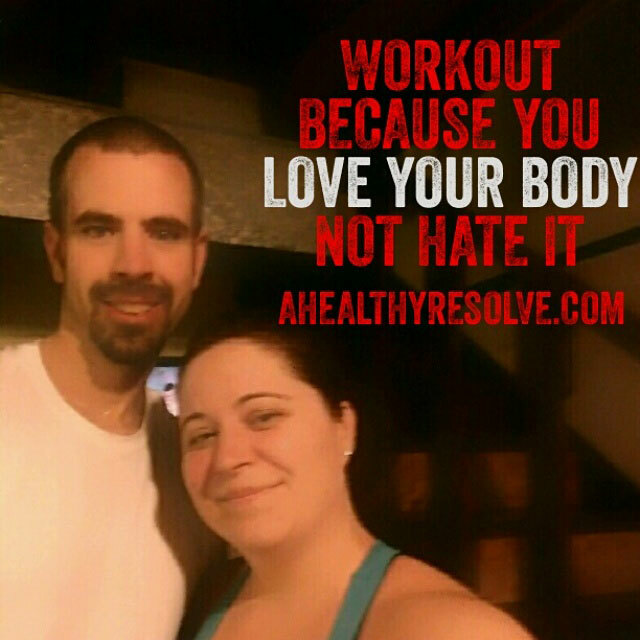 We also got to try out one of her new workouts coming with 21 Day Fix Extreme. Let me tell you, it was no joke! I’m super excited to check it out. She promises more weights, more simple nutrition and more results! To stay tuned on the release, be sure to fill out the form using the link on the side of this page. It has been super cold here this past week. I have been grumbling and groaning the whole way to the basement as I have pulled myself out of bed! There have been a few mornings that I have done the whole first part of my workout with my coat on...but hey...whatever you have to do to get it done right? It’s hard to believe that we are heading into week 6 of Insanity Max:30. I also am honestly pretty (happily) surprised at how much stronger I have gotten. I really noticed it with all of the push-ups Autumn had us doing Friday night! Haha! The first week of a new program or even a change up of workouts in a program is always a little rough. You are trying to figure out the what you are supposed to be doing and getting the moves figured out. I’m ready to take this week by storm and really push hard now that we have gotten our feet wet. Do you love cinnamon rolls? Me too! 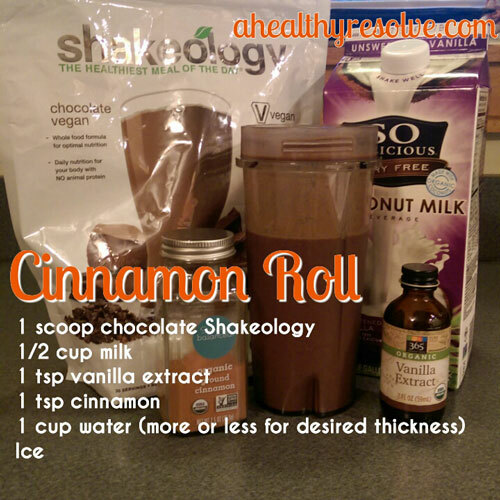 That's why I really love this Shakeology recipe. It has all of the flavor of the cinnamon roll while still being my healthiest meal! Happy Friday!! Woop woop! LOL! Honestly, it has been a rough week for me but I’m super excited for a fun packed weekend. :) But first, let’s reflect back on the past week! 1. It has been SO cold this week here...as in 0 degrees in the mornings cold. And when it is that cold my basement is like an ice chest. It’s quite miserable to crawl out of bed first thing in the morning and go down there! BUT I am going to celebrate that we did it! Every. Single. Day. 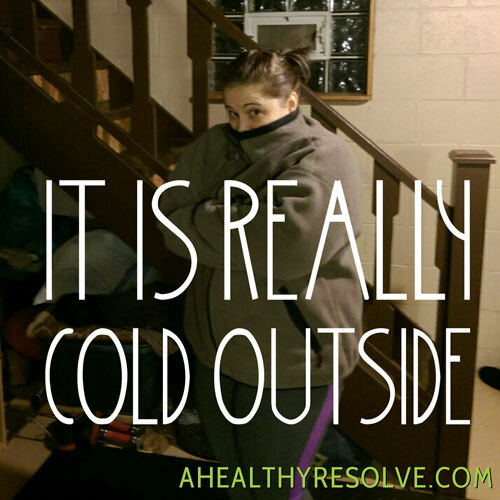 Hubby and I went downstairs and pushed play, even if I was shivering at first! Haha It’s a good thing that Shaun T doesn’t take long to warm us up! 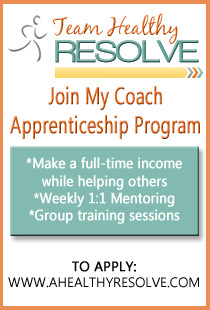 What is an Accountability Group and Why Should I Join One? A question that I am often asked as a coach is "What is an accountability group?" and "Why should I join one?". To me, accountability groups are the secret sauce to success and results. Watch my video to find out why! Um...blink...where did the last two weeks go? I don’t know about you but the holidays were a whirlwind around here! We don’t live very close to our families so this time of year always a lot of running over the river and through the woods for us. :) So while we LOVE spending time with our family, today I am breathing a huge sigh of ‘thank goodness the chaos is over with’. LOL! I know that I didn’t post an update last week due to the holidays. I’m going to be completely honest, I worked out every day (even Christmas Day) but my nutrition was probably more like 75/25. 75% of the time it was on point and the rest...well...was a free for all. Working out has always been the easy part for me. It’s the other 23.5 hours of the day that is the issue. Nutrition continues to be my biggest struggle. I could blame it on a lot of things...how I was raised, it is my habit, emotional connections...but the reality is that I am the one that needs to be in control. All of those reasons are just EXCUSES. I keep saying that I am finally going to get back on track and then a wrench gets thrown into life and I fall down that slippery slope again. I’m human. Maybe I’m just like you. Maybe you can relate. Maybe you are thinking, ‘How can this girl be coaching others through their journeys if she can’t even get herself on track?’. The silver lining to all of this is that I can completely relate to my clients who are also going through the same things. And I have come SO far from where I started. This whole journey is a process. For some people it is quicker than others. Every time we fail, we learn. Each day I try to learn from what isn’t working and try to make it better. One of my big goals for 2015 is to be able to write a post to you by the end of the year telling you that I have finally found a way to manage my food demons. I won’t use the word conquer because I truly believe that they will probably still be there, but that doesn’t mean that I can’t find a way to take control. I hope that through this confession of sorts and making myself vulnerable, you can find some inspiration and know that if you too are struggling, you are not alone. I am so grateful for my accountability groups and my team. While I still have a lot of work to do, I know that without them I would not have come as far as I did in 2014. I have already proven that I can do anything I decide to do. Now it is time to get serious about tackling the elephant in the room...my nutrition! High Five for Friday and 2014! Happy Friday & Happy New Year! I'm not really quite sure where the year went but here we are starting 2015 with a fresh new year and fresh new goals. In honor of the new year, this high five for Friday will be my favorite things from the past year, not just the past week. Here they are! 1. Since this is a health and fitness blog, my first item has to be that I consistently worked out 5-6 days a week for the ENTIRE year, even on vacation! This is the longest streak I have had ever! When I think back to where I was when I started my journey, I can't believe how far I have come. It hasn't been easy. There have been many times when I have wanted to give up because my body isn't changing as quickly as I would like, but I kept going anyway. And I can honestly say that I am stronger both physically and mentally because of it! 2. I am grateful for all of the awesome, quality family time I have gotten with my boys over the past year. 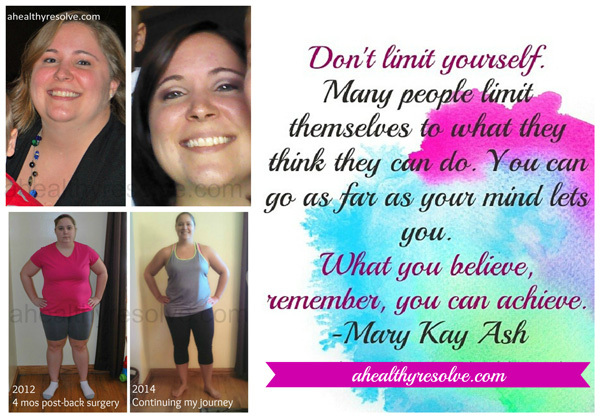 I am so blessed that I am able to stay home with them, while working as a Beachbody coach. My hours are my own to work when I want and also to be present with my family. We were able to take a family beach vacation that I payed for with my income from Beachbody. We had so much fun at the pool, zoo and parks this past summer. I am able to spend time volunteering with their schools. I know that this time with them will continue to FLY by and I am soaking up every minute! !